We are elated to announce that Goodwin Community Health has been selected to be a part of the exciting and innovative Hannaford Cause Bag program, which is specially designed to support local nonprofits like us. For every Hannaford Helps reusable bag purchased at the Hannaford located at 30 Grapevine Drive, Dover NH during the month of September, $1 is donated to our cause in order to help us fulfill our mission. 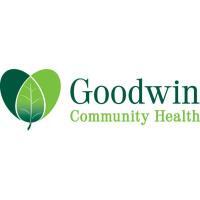 We continually appreciate all the support you give, which has allowed Goodwin to maintain the work we do in our community. The Hannaford Cause Bag program is a simple and fun way to continue this support! Please visit the Hannaford store located at 30 Grapevine Drive, Dover NH during the month of September and buy the specially designed bag with the good karma message. Imagine if every one of our supporters purchases just ONE bag! What if everyone bought TWO! AND, purchasing these beautiful Hannaford Helps reusable bags will support us while also helping to eliminate paper/plastic use!